Nearly 70% percent of employees spend an hour or less considering their benefits at enrollment time, according to a new survey of 1,500 full-time U.S. employees by Colonial Life. Employees who rush through their benefits choices are 23% less likely to understand their benefits moderately or very well, the survey found. They are also 55% more likely to leave their jobs in the coming year, 32% more likely to feel dissatisfied in their jobs and 18% less likely to feel cared about by their employer, it continued. Women and single or divorced employees tend to take less time considering their benefits, as are employees at companies with fewer than 250 employees and employees without children, according to the report. Unfortunately, it's not surprising that employees tend not to understand their health benefits very well, as they don't spend a lot of time reviewing their options. According to a 2018 Unum poll, employees spend 30 minutes or less reading open enrollment materials. The haste could be due to emotional discomfort — about one-fifth of respondents reported that signing up for benefits resulted in stress, confusion and anxiety. So, what's the solution? As tempting as it may be to inundate employees with all the information you think they might need, it's important not to bombard them, Brenda J. Mullins, vice president of human resources and chief people officer at Aflac, said in an opinion piece for HR Dive. Discrete, "bite-sized" communications spread out over time are far more effective than an avalanche during open enrollment. Additionally, varied strategies can help you reach a wider range of employees more effectively. Some employees, for example, prefer town hall meetings, while others do well with online quizzes and contests. A benefits advisor can help an employer design communication strategies and schedules that are a good fit for its particular workforce. But employers shouldn't make the mistake of thinking that benefits confusion, discomfort, or haste means that benefits aren't important to their employees. According to 80% of respondents in a 2018 online survey conducted by the American Institute of CPAs, a job with benefits is preferable to the same job with more pay and no benefits. This was true even though only 28% of respondents were very confident that they were fully using their benefits. The labor market's continuous job growth during the past eight years has been "extremely positive," according to ADP's State of the Workplace Report: Pay, Promotions and Retention report. But there also was a lag in wage growth during the same period and a disparity between women and men's wages and managers and non-managers' wages. Citing the U.S. Department of Labor Bureau of Labor Statistics (BLS), the report said that 2018's job growth averaged 200,000 jobs a month. On national wages, the report found that the average hourly wage is $29.03 per hour. For managers, who make up 16% of the workforce, the report said that the average wage was $47 an hour. Non-managers are 84% of the workforce and earn on average $25 an hour, according to the report. Women comprise 47% of the workforce and earn on average $25 an hour, while men are 53% of the workforce and earn an average $32 an hour, it continued. Employers promote 8.9% of their workers on average, according to ADP, and they offer those employees an average wage increase of 17.4%. The report also found the average worker's age to be 41.7 years, the average tenure was 5.6 years and the average monthly turnover rate was 3.2%. ADP's findings indicate that job growth has been steady, as the latest BLS numbers showed earlier this month. However, as positive as job growth is for the overall economy, for employers in a tight labor market facing talent shortages, recruiting for new positions may well remain a challenge. Sourcing and hiring may be especially challenging for employers that continue to decline to adjust wages to account for real wage stagnancy. At the start of the year, 19 states had raised their minimum wages to benefit largely low-wage earners. And a few high-profile employers, like Target, Chick-fil-A, Bank of America and Disney, have raised their minimum wage either in response to union demands or to proactively reduce turnover and stay competitive in an employee-driven labor market. Meanwhile, the pay disparity that continues between women and men could remain in place for another 217 years without direct action, some have predicted. In response, HR managers can review compensation practices, flag any disparities, study market rates and conduct periodic compensation audits. We take a look at Castlight Health’s latest report on the state of employee benefits personalization and how AI will drive the future of benefits management. Employers are seeking to make more data-driven employee benefits decisions. That’s according to Castlight Health’s latest report, Employer Perspectives of Personalization in Digital Health, which found that employers strongly believe that personalization has the ability to significantly impact employers and employees. As consumers become more accustomed to personalization everywhere – right from their Netflix recommendations to ATM kiosks, they have come to expect the same level of personalization in the workplace as well. And employee benefits are no exception. What’s Keeping Employers from Personalizing Their Benefits Offerings? While artificial intelligence (AI) and data analytics have transformed several business functions rapidly, organizations are at a data disadvantage when it comes to their benefits offerings. Maeve O’Meara, Executive Vice President of Product and Customer Experience at Castlight believes that employers typically work with limited data-sources which keeps them from unleashing the true power of benefits personalization. The report that focuses on large employers, found that a majority of employers (71 percent) offer little or no personalization to employees when it comes to matching the right benefits/resources to employees’ needs. When asked how they would grade their organization’s current benefits personalization efforts, none of the employers awarded themselves an A grade. “Our survey of the nation’s largest employers found that they widely recognize the power of personalization to positively impact employees, but most believe they are not tapping into its full potential. As well as quantifying that gap, the survey highlighted several opportunities to improve benefits programs through personalization,” says Maeve. With high-deductible health plans (HDHP), open enrollment, and 401(k)s benefits offerings still being viewed as complicated and difficult to understand by employees, employers need to deploy the right tools to offer personalization. In the candidate-driven jobs landscape today, personalized benefits offerings are a part of employers’ overall competitive advantage. “With employers facing increasing pressure to attract and retain talent, offering a personalized, engaging, and consumer-grade benefits experience is a key competitive advantage. We have seen from other industries -- from entertainment to shopping -- that technology-driven, personalized services drive deeper consumer engagement and satisfaction than the one-size-fits-all status quo. The same is true in health benefits: by connecting employees with the right benefits and resources for them as an individual, we see greater employee engagement with -- and satisfaction in – benefits,” opines Maeve. The report classifies personalization data sources into Mature (eligibility file and claims data), Crossover (health risk assessments and biometric screenings), and Nascent (in-app questions, third-party apps, and search data/history). AI-powered benefits solutions that draw on all three data-sources are crucial to delivering a personalized benefits experience. With the right data sets, AI can help employees make educated benefits choices that are relevant to them and their individual needs. Once organizations have a unified view of all data, AI can provide personalized nudges to inspire better benefits utilization. All indicators point to AI driving the future of benefits administration. “It’s clear employers recognize the promise of digital health benefits, as they continue to invest in solutions that empower employees to access care, manage conditions, and stay healthy. Now, employers are seeking ways to drive greater value in their existing digital health investments. “One of the key levers to do so is through benefits personalization. Our recent report identified three innovations employers can take advantage of to improve benefit personalization going forward: increased data liquidity creates the opportunity to incorporate broader data sources; advances in machine learning enable more granular segmentation in communicating with employees, and applying personalization across disparate programs enables employees to understand and connect with the right resource at the right time,” says Maeve. Cash rewards might not be the most effective way to get employees to participate and complete employer wellness programs, according to a study by Brigham Young University. Researchers say they studied an employer that provided awards such as cash bonuses added to paychecks, gift cards or a tangible reward of equal value to employees who completed six-week wellness challenges, BYU reported. Although 60% of the participants choose cash rewards, people who selected gift cards were 25% more likely to complete a wellness challenge, BYU said. Researchers speculated that gift cards may be more motivational because they represent the "optimal balance between hedonic value (fun, enjoyment) and fungibility," the study's authors told BYU. The study does not recommend that organizations only offer gift cards as incentives, the report said. According to a 2018 study by Wrike, all but 6% of American workers reported being stressed at work, and one-fourth of the respondents to the survey said they will burn out within the next year if they continue to feel so stressed. Stress and burnout can lead to high turnover, and poor sleep — a common side effect of stress — has shown to cause workers to make more mistakes. With this in mind, it's not shocking that wellness is a serious consideration for employees and candidates. According to a recent survey, 73% of workers weigh whether an employer offers well-being programs when deciding whether to accept a job offer. In the same survey, about one-quarter of respondents said they favored incentives that reward healthy behavior. Academic case studies from Stanford University and the University of Michigan have also shown the popularity of wellness programs among workers. Even with strong employee demand for wellness programs, employers might look to personalized programs and incentives to encourage full participation. Personalized wellness programs or non-cash incentives like paid time off would motivate 80% of employees to participate, according to the Wellbeing Wake-Up Report by Welltok. 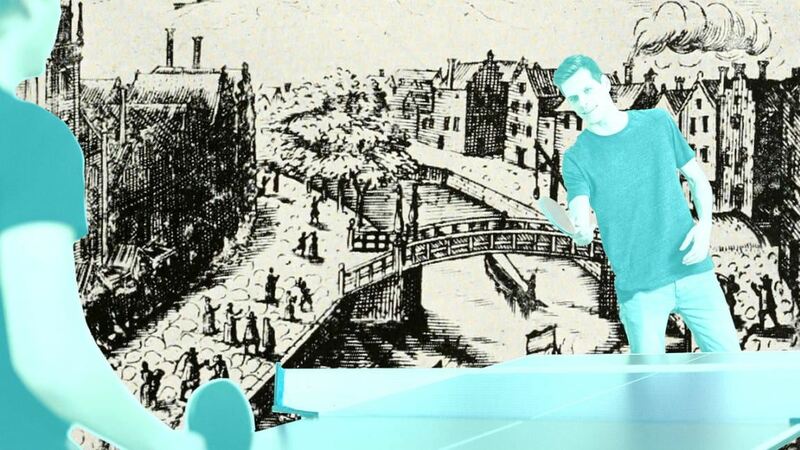 The simple pension plan that started in 1636 took centuries to evolve into free snacks and ping-pong tables. The promise of opportunities to bring your dog to work or to take a break between meetings by playing ping-pong or hopping aboard a Peloton treadmill has become somewhat common in workplaces across the country. Even coworking spaces like Luminary which are filled with freelancers and startup founders, offer perks like free wine. With unemployment hovering at historic lows, employers are beefing up their benefits and perks to attract candidates who aren’t necessarily actively looking for work but could be persuaded to make the leap for the right package. A survey from the Society for Human Resource Management (SHRM) revealed that the vast majority (92%) of employees said benefits are important to their overall job satisfaction. Nearly a third (29%) of employees reported that their overall benefits package was a top reason to look for a position outside of their current organization and 32% of employees who said they wouldn’t look cited their overall benefits package as a top reason as well. From the standard benefits like health insurance and 401K to premium perks like student loan repayment and maternity concierge services, employees have come to expect benefits as part of their overall compensation from their employers. But it wasn’t always this way. The very first benefit recorded for workers happened during colonial times. In 1636, Plymouth (now part of Massachusetts) began paying a pension to colonists who were disabled during the fight for independence. The nascent government in 1789 passed a federal pension plan that would pay benefits to veterans of the Revolutionary War. The first private pension plan wouldn’t appear until 1875 when American Express offered employees who retired from the company 50% of the salary they earned in their final decade with them (but not to exceed $500). As the country grew, so did the need for skilled workers in manufacturing, which meant that individual employers needed a way to attract talent and keep them loyal. So in 1797, Albert Gallatin, the Secretary of the Treasury under Presidents Jefferson and Madison, who also happened to be a glassworks mogul, crafted the nation’s first profit-sharing plan for his employees. The profit-sharing plans we know today continued to evolve in the 1800s, when the likes of General Foods and Pillsbury gave part of their profits to employees as a bonus. Companies used profit sharing during World War II to give their workers additional compensation without having to raise their wages. Healthcare as a benefit didn’t appear until 1877 when the Granite Cutters Union started the first plan for workers who got sick or injured on the job. However, retailer Montgomery Ward was the first to adopt a group accident and sickness policy for its employees, around 1910. Flash-forwarding to the mid-1940s, Kodak and Dupont established alcohol recovery programs, which were the precursors to the modern Employee Assistance Program. And by 1940, vacation coverage for hourly employees had grown to 50%. A 1943 report submitted to then Secretary of Labor Frances Perkins revealed that nearly 8 million workers, or 60% of those under union agreements, were entitled to paid vacation, up from just 2 million in 1940. IBM started the first elder-care program in 1987 and in 1991 Starbucks became the first private employer to offer stock options to eligible full- and part-time employees. From here benefits and perks expand to include many of the ones we are familiar with now. And the menu just keeps growing. In 1996, the SHRM tracked 60 perks and benefits. In 2018 that number had swelled to over 300. Among them, paid parental leave has been both a hot-button issue for equity between men and women in the workplace as well as a tool employers have used to lure talent–particularly in tech jobs. And paid leave for caregivers is becoming a more urgent need as gen Xers who are mostly in middle management and executive positions toggle between caring for children and elder and sick family members. Employers looking to build loyal teams have taken a less practical approach to benefits in recent years. Instead, they’ve built company cultures around group wellness, unlimited vacation policies, and even more esoteric perks such as pet cloning. The bottom line is that benefits and perks affect the bottom line. The most recent Bureau of Labor Statistics data shows that in 2015, employers factored in 31.3% of their payroll for benefits as compared to 20 years prior, when 71.4% was earmarked for salaries, and only 28.6% went to benefits. Employee participation in an employer's optional volunteer program is not considered hours worked under the Fair Labor Standards Act (FLSA) — even if the employer awards a bonus to certain participating employees — provided the program is charitable and voluntary, the U.S. Department of Labor (DOL) said in an opinion letter Thursday. The letter answered questions about an employer's optional community service program in which workers perform activities either sponsored by the employer or chosen by employee. The employer doesn't require employees to participate in the program, DOL said, nor does it control their participation. As part of the program, the employer "rewards the group of employees with the greatest community impact with a monetary reward." Workers also are compensated for time spent volunteering during work hours or when they're required to be on the employer's premises. DOL also said the FLSA permits an employer to use an employee's time spent volunteering as a factor when calculating a bonus without needing to treat volunteer time as hours worked, so long as the volunteering is optional and doesn't have an adverse impact on the employee's working conditions or employment prospects. On a separate point, the agency approved the employer's use of a mobile device app to track participating employees' volunteering time for the purpose of determining which team would win the monetary award. But were the employer to use the app to direct or control worker's volunteer activities, time spent following such instructions would count as hours worked under FLSA, the agency noted. Employers might need to exercise caution when launching volunteer programs. DOL makes clear that the FLSA does not permit employees to volunteer services to for-profit employers but, at the same, time the agency stated in its March 14 letter that "Congress did not intend for FLSA 'to discourage or impede volunteer activities,'" and also cited previous agency opinion letters in explaining that an employer "may notify employees of volunteer activities and ask for assistance with them as long as there are 'no ramifications if an employee chooses not to participate.'" Volunteerism has been linked to larger corporate initiatives to improve brand image as part of corporate social responsibility efforts. By offering paid volunteer hours or otherwise encouraging employee-led projects in local communities, employers may be able to create team-building opportunities and improve engagement. Many have joined in on the trend and encouraged volunteerism through such programs, as did Starbuckswhen it launched a pilot program in 2018 allowing select employees to split their time working at a community organization while still getting paid. DOL's wage and hour opinion letters can serve as a partial defense for other employers in the event of litigation — provided employers rely on the letters in good faith — but that defense can be an imperfect one due in part to the letters' fact-specific nature, experts previously told HR Dive. Accurate timekeeping starts with policies and training, experts say. If you don't have that, tech can't help. You’d notice if an employee stole vast quantities of office supplies. Or the company car. But time theft is different. It’s pernicious because it can be just few minutes here and there; but multiplied over years and across an entire workforce, it can add up to a big chunk of an employer's payroll — on which it's getting zero ROI. And it's maddeningly difficult to pin down who’s responsible and what the actual damage is. Is there a solution that curbs the problem without making your employees feel like they’re in an Orwellian monitoring nightmare? Time theft can occur in a variety of ways, especially now that employees are both highly connected and often working away from a central location. A few minutes spent checking Facebook or shopping on Amazon can easily add up to hours of unproductive time. Or perhaps an employee who’s "working from home" is doing no such thing. And then there's the old-school problems, from innocent but lengthy water cooler chit-chat sessions to deliberate "buddy punching" at the time clock. With remote work, it’s a lot harder to control what employees are doing and know whether they’re being productive, according to attorney Michael Puma, a partner at Morgan, Lewis & Bockius, LLP. And employees themselves may not fully grasp the extent of the problem. "Employees don’t always understand why it’s such a big deal — a few minutes here or there, we’re human," said Gretchen Van Vlymen, vice president of HR at StratEx, an HR service company. "But on a larger scale, it adds up and costs [employers] money. It seems dramatic to call it 'theft,' but it really is because we’re paying you for every single minute." Puma said he's seen clients turn to advanced time-tracking tools. "You can see what employees are doing — are they reviewing files or sending emails?" Deputy, a workforce management software platform, still sees employers using systems like paper time cards but many are using technology alone to reduce time theft. According to the company's VP of business development, Derek Jones, Deputy sees a payroll contraction of about 4% when its solutions are implemented "probably due to a reduction in buddy clocking." StratEx works primarily with employers in the restaurant and hospitality industry that have large nonexempt hourly workforces and uses technology that takes a photo of each employee during his or her time punch. While there are occasionally some issues, Van Vlymen said, especially if employees are moving quickly, the system generally works well: "It’s hard to fake your face." It's hard for employers to spot time theft without some kind of technology, Van Vlymen said, but systems can be imperfect. Biometrics, for example, can be expensive and lead to backups at the time clock. "There are also compliance issues relating to biometric punch-in/punch-out procedures," she said. Puma said while employee time theft can be a concern for employers, class actions for off-the-clock work should be a bigger worry. For a while, he said, plaintiffs' lawyers were focusing on employee misclassification. Now, they have "moved on to a second round," shifting to suits alleging that employees aren't being paid for all hours worked. "Every single day I see class and collective actions for unpaid overtime all around the country, and that may not even include similar state actions." Everyone is under increased time pressures, he said, and supervisors are expected to keep overtime expenses down. Employers, therefore, should be careful that time is not being underreported. "You need a good policy that reported work hours must be accurate; you don’t want over- or under-reporting." To achieve this, it's important to be clear on what "working" means, Puma said. For example, if an employee is at home planning for the day, emailing with a supervisor and going over action items, that time may need to be compensated. Work must be compensated even if it’s outside scheduled hours or not asked for or approved. "There may be a concurrent discipline issue," he said, "but that time must be paid." And in working to curb time theft, it's important that employers not overreach in a way that encourages employees not to report all time worked, Puma advises. "If an employee stops working for 10 minutes to take a call from their mother, plan a vacation or smoke a cigarette, they are generally still on the clock, legally," he said. "Even for exempt employees, you can lose [their exemption] if you start taking partial-day deductions." Puma said he recommends that employers maintain an accurate policy — with an acknowledgement signed every year — and should regularly audit, train and correct any problems. If you do this, he said, "it will be hard for a large group of employees to establish the commonality needed to file a class action." That seems to be the key, according to the experts. Employers must educate front-line employees and managers alike on both employee and employer time theft. "On the employer side, it's not the business's intent to steal time, but there is a massive problem with training," Jones said. Many small business owners are not fully clear on the complex rules for paid breaks, premium time accrual of any applicable paid sick leave and so forth, he noted. "The employer has to assume an educational role with employees and schedulers," Jones continued, adding that training should be explicit. Employees should be told, "You need to take your full break, you need to leave the worksite." The more transparent a business can be, he said, the better. "If you are investigated, you want to be able to prove you covered this stuff with employees. This staves off 99% of the issues employees might claim and prevents them from feeling baited by a plaintiff’s attorney, because they know the employer was open with them." Additionally, Jones said, timekeeping systems that require affirmative attestations from employees — such as "Yes, I had my meal break" — give employees a feeling of control. "Without this, resentment builds up." HR should want employees to own their stake in this, to know that they play an active role in getting paid correctly. Jones agreed. Accurate timekeeping "starts with the employee manual and new-hire training, then your timekeeping system," he said. "If you don’t have the first two, tech can’t solve for this." Can unlimited vacation be too much of a good thing? On paper, it’s an intriguing idea: Unlimited paid time off means no vacation banks or caps — workers take as much or as little vacation time as they see fit. Employees like that they're not being nickeled-and-dimed, and HR professionals like the idea of having one fewer thing to track. But is it really that simple? Unlimited PTO policies are certainly a growing trend, according to Daniel F. Pyne III, a shareholder at Hopkins & Carley. And "I would expect it to continue to grow," he told HR Dive. After all, the notion of unlimited PTO "has a lot of appeal to employees; it sounds good," said Rich Fuerstenberg, a senior partner at Mercer. He said he believes it helps with attraction and retention of employees, whether they are mid-career or just out of college: "If your vacation policy for new hires is two or three weeks, they will wonder, 'What if I want more time?' Unlimited means you don’t have to negotiate." Three days jam-packed with what’s now in compensation and total rewards and what’s on the horizon. Network at top-notch golf and social events. May 6-8, Orlando. But here’s the rub: When you switch to a unlimited vacation policy from a traditional policy, you need to deal with that existing bank of accrued time. "What you do with those balances can be a challenge, but once that process is over it’s not a problem going forward," said Fuerstenberg. Pyne said there’s no one-size-fits-all recommendation for how to handle the accrued time, but "you can leave a bad taste in employees’ mouths in terms of morale" if you don't consider all the angles. If there's a substantial amount of accrued PTO, Pyne said, employers may elect to take the hit in terms of morale and draw an employee's time off against that bank until it’s paid out, at which point you shift to the new unlimited PTO system. If there is any unused accrued leave left over when a worker's employment ends, that can be paid out. If there is not a huge balance, Pyne said he's had some clients decide to just pay it out. "It depends on how many dollars you’re talking about," he said. A seeming paradox of "unlimited" vacation time is that employees may get timid about taking time off. Fuerstenberg said that in a recent Mercer survey, most employers who had switched over to unlimited vacation policies reported that employees took the same amount of vacation as they did before. Some said workers took less time, but few said they took more. "Some employers say, 'It’s unlimited but you must take no less than two weeks,' but that can be a slippery slope," he said. "If you start saying things like, 'no fewer than two weeks and and no more than four weeks,' that starts to sound like a traditional vacation policy." Fuerstenberg also raised the challenge of equity. An employee with a good manager can satisfactorily arrange his or her time off, he said, but "a bad manager always says no." He said employers must trust both employees and managers and provide them with the tools they need to make unlimited leave work. A number of Fuerstenberg's clients have moved away from the term "unlimited vacation" and are now using terms like "untracked" because "'unlimited' sets you up to fail," he said. "Employees think, 'I can take as much time as I want.' But you still have to do your job. If employees have performance targets, they still have to meet those targets." He also noted that unlimited time off may be unmanageable for certain types of businesses and employees, such as call centers, retail and hospital nurses; "You need some rigidity there to run the business." "With nonexempt employees, you start seeing more taking off here and there, including Friday/Monday absences," said Grover. "It’s really difficult with unlimited time off to say, 'this is too much.'" Instead, employers should be clear about expectations, she said, especially with planned time off. Grover also cautioned that unlimited leave policies may mask underlying issues that should be examined: "You don’t know if it’s a performance issue, a substance abuse issue or a burned-out employee issue, but any of those are things you might want to address." Employers are obligated to adjust certain production and performance expectations when employees take protected leave under, for example, the Family and Medical Leave Act (FMLA). It is a problem, Grover said, when employers with unlimited leave policies refuse to similarly adjust expectations when employees take time off for potentially protected reasons, such as having a baby or caring for a family member with a serious illness. Employers may think putting time off into the proper "bucket" no longer matters if you have an unlimited leave policy, but it does, she explained: "If you don’t appropriately categorize the protected leave, you may not apply it correctly, may not know when that particular leave is expiring, and may not give the appropriate notices." Additionally, posited Grover, "When is the leave paid, and when is it unpaid? If you don’t write the policy correctly, the employee will have the expectation that the time is paid; the employer certainly won’t." Pyne agreed that employers need to watch for unlimited being used for unintended purposes. "The intended purposes are short-term leaves, such as the vacations we all take. It is not meant for serious, disabling illness" — and he said he's seen policies that don't account for that distinction. "Be sure to clarify that it is not intended to be used for a leave that might qualify under something like FMLA or disability benefits under an employer’s insurance policy. You don’t want it to become a permanent paid leave." Unlimited vacation policies sometimes improve morale and sometimes don't, and it often depends on how they're rolled out and how managers behave, Pyne said. "If your manager takes three days a year, employees get the message that they shouldn’t take much. But if managers take two to three weeks per year, employees feel more comfortable doing the same." Some of his clients have reported employee anxiety because workers don't know what the expectations are anymore. Grover, too, has seen some pushback from employees relating to unlimited vacation. "They don’t really like it. They want something in the bank for when they leave for a new job, or the ability to take time off — it’s a trade-off." For employers interested in testing such a benefit, Fuerstenberg ​recommends starting with a small group of employees. You can always expand the policy, he said, but "taking away an 'unlimited' benefit feels like a major takeaway." When college graduates enter the workforce, they're increasingly bringing a boatload of student loans along with them. So along with 401ks and insurance benefits, some employers have started offering up options to cut students' massive debts, Bloomberg reports. Across the U.S., 44.2 million people currently carry debt from a student loan, with a total value of $1.5 trillion, Forbes notes via the Federal Reserve statistics from 2018. That works out to an average of $37,172 in individual debt. Employees at insurance company Unum Group average slightly less in loans, racking up an average of $32,000 each, Unum tells Bloomberg. So Unum devised a plan to give students an average of $1,200 per year toward loans in exchange for giving up five paid vacation days. Those payments can also go to parents if they're paying for a child's loans. Source: The Week Publications, Inc. Adjusted for inflation, real wages are expected to rise only one percent worldwide in 2019. A new workforce report by Korn Ferry offers a region-by-region breakdown of anticipated wage growth on the horizon, and it may not be what you want to hear. Let’s take a look at the latest findings. January 23, 2019 – When it comes to compensation, this may well be a year that will make neither companies nor their workers very happy. Companies are expected to keep raising salaries this year — 5.1 percent, on average, according to the recently released Korn Ferry’s annual global salary report. But after accounting for inflation, real salary growth will only be one percent, even lower than last year’s 1.5 percent forecasted increase. “The percentage of salary increase or decrease will vary by role, industry, country and region, but one thing is clear, on average, employees are not seeing the same real pay growth they did even one year ago,” said Bob Wesselkamper, Korn Ferry’s global head of rewards and benefits solutions. Analysts say the situation is bound to create some frustration. Companies are spending more money on employees, but that extra cash isn’t really helping workers build much wealth. In North America, for instance, the average salary growth is predicted to be 2.8 percent in 2019, according to Korn Ferry. But when adjusted for inflation, the real-wage growth is expected to be 0.6 percent, down from last year’s one percent. The outlook for South American salaries is slightly better, with salaries rising 4.6 percent, on average, or 1.3 percent after inflation. Nevertheless, 1.3 percent is still lower than the 2.1 percent growth that was projected for 2018. Eastern Europe employees, meanwhile, are expected to get higher real salary increases than their Western European counterparts, said the report. Salaries in Eastern Europe are expected to rise 6.6 percent in nominal terms and two percent after inflation, an improvement on last year’s 1.4 percent increase. In Western Europe, salaries are expected to grow only 2.5 percent and just 0.7 percent after inflation. The best real salary growth will happen in Asia, according to the report. Salaries are forecast to increase by 5.6 percent, up from 5.4 percent last year. Inflation-adjusted real wage increases are expected to be 2.6 percent, the highest globally, but down from 2.8 percent last year. The rest of the world will not see anywhere near as much growth. In Africa, companies will be raising salaries 7.7 percent —the highest increase in the world. Go past the headline, however, and the raise is a modest 0.9 percent after inflation. In the Middle East, after-inflation salaries are expected to rise just 0.4 percent. Salaries in the Pacific region (which includes Australia and New Zealand), will grow only 0.3 percent after inflation. In response to the mediocre wage increases, Korn Ferry’s experts said that leaders regard salaries as part of an overall compensation package. Because inflation is eating away gains, employees might appreciate different benefits, such as more days off, a flexible work schedule, or increased pension plan contributions. U.S. employers are projecting slightly larger pay raises for employees in 2019 as the unemployment rate has fallen sharply and the job market has tightened, according to a recently released Willis Towers Watson report. The survey also found employers rewarded their top performers with the biggest raises this year and are projecting modestly larger discretionary bonuses next year in their ongoing effort to reward and retain the best performing employees. The “General Industry Salary Budget Survey” found that U.S. employers expect to give exempt, non-management employees (i.e., professional) average pay increases of 3.1 percent in 2019, compared with three percent this year. Non-exempt hourly employees can also expect larger increases next year — three percent in 2019 vs. 2.9 percent last year. “Many companies are establishing slightly larger salary budgets while at the same time focusing on variable pay such as annual incentives and discretionary bonuses to recognize and reward their best performers,” she said. The study examined pay for CEOs at the nation’s 300 largest public companies, included. Median revenues for the 300 businesses were $18.7 billion. Median total direct compensation (TDC) for CEOs increased 8.7 percent to $13.4 million, said Korn Ferry. That is twice as much as last year’s 4.2 percent increase in TDC and the highest percentage increase since 2010, the first year of recovery from the Great Recession. While year-over-year base salaries remained relatively flat, with a 1.5 percent increase to a median of $1.3 million, a large percentage of the TDC increase came from performance-based compensation growth, said the study. Annual bonuses were up 4.1 percent. And LTIs (long-term incentive value) were up 7.4 percent.